If you’re new to internet marketing, you might be looking for a full search engine optimisation (SEO) service to launch your website. Alternatively, you might already have an established website and understand the benefits of search engine optimisation, and simply want a professional SEO service to save you time and effort. Our team at SEO Service Pros delivers a full SEO service to companies across a range of market sectors. With wide-ranging skills, we can deliver a full search engine optimisation service or any particular elements you need. If your website is not meeting your expectations, we can help. With a reputation for honesty and professionalism, you can rely on our team to deliver a completely transparent service with a measurable ROI (return on investment). Contact us today or call us at 0845 601 2237. On-page optimisation refers to the SEO activities which directly influence the performance of each page on your website. Every page on your website must be optimised. When you conduct an online search, the results shown are individual website pages. Many people assume the number of results refers to whole websites and are surprised to find this is not the case. When people search online for a product or service, they use specific keywords. A keyword can be a single word or even a phrase. These keywords are all-important to your site’s search engine optimisation. Research might be needed to establish the most effective keywords to use. Once your keywords have been researched, our team of skilled SEO copywriters can help by writing effective optimised copy to help both your website visitors and the search engines. Metadata is the ‘behind the scenes’ information on your website. This data helps the search engines understand the content of your website. Each page must have its own metadata. This is because metadata describes the particular page, not the website as a whole. Metadata must be carefully written to the correct parameters for best effect. Keywords must be used throughout to enhance the search engines’ understanding of your site. The ‘page description’ element of metadata is often displayed as the ‘advert’ which is shown when your site is listed in search results. Headings in your website copy should contain relevant keywords and be HTML coded. This alerts the search engines to the subject of that section and helps them understand the headings. 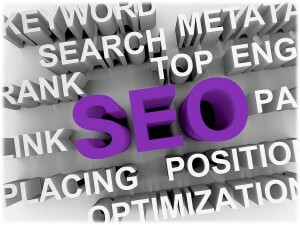 You will see our SEO Service Pros website copy is divided into short sections, each with its own keyword-rich heading. This helps the on-page optimisation. It’s important to remember keywords are used by human visitors to your website too, as they scan the page for the product or service they want. Like headings, using a bold font for keywords identifies them as being of importance to the search engines and visitors. Websites are made up of coded computer language. These codes must be carefully created to help the search engines find the site and travel around it. Your website and company details are submitted to third party sites as part of your directory submission campaign. This delivers valuable backlinks to help your optimisation, as well as increasing the potential number of visitors to the site. Online articles and blogs help boost your company’s reputation. Running an article submission campaign increases brand awareness, credibility and provides a source of incoming links to your website, boosting your search engine optimisation. Like articles, an online press release submission strategy helps you publicise your company news as well as creating backlinks to your website. A link building campaign is an essential part of off-page SEO. Relevant, quality links help your site’s optimisation. They drive traffic to your website and help the search engine robots and the human visitor travel from site to site. Social media optimisation gives you a tailor-made platform to promote your organisation. It can be used to drive traffic to your website or blog. Social media sites like Twitter and Facebook are powerful online viral marketing tools. Social media users spread and share information. A well-managed social media campaign can transmit information about your brand across the world in a matter of minutes! When you think of all the on-page and off-page elements which comprise an effective search engine optimisation campaign, it’s not surprising many savvy businesses choose to commission SEO consultants. So why spend your time wrestling with your own search engine optimisation when our skilled professionals at SEO Service Pros are here to help? Send us your enquiry now or pick up the phone and call us on 0845 601 2237. You’ll get skilled professional SEO advice from experts whose watchwords are honesty and integrity.